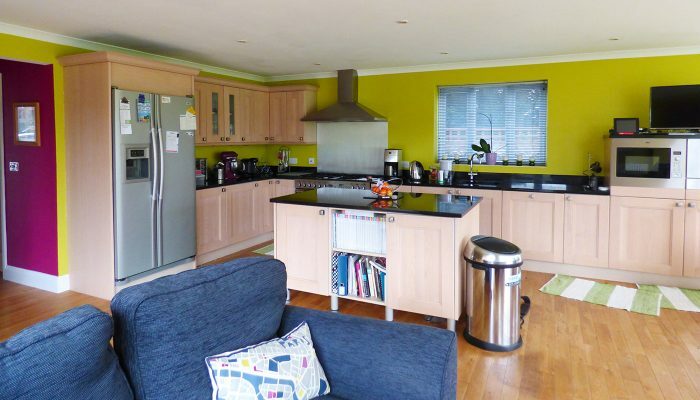 Our kitchen is a large space with a beautiful view of the garden. It's a very sunny room that we spend a lot of time in. 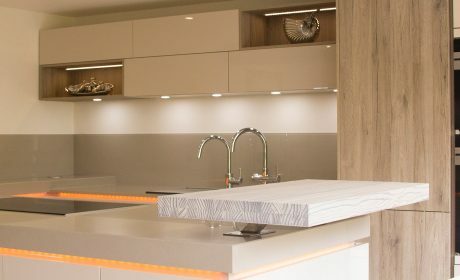 Our previous kitchen, although perfectly functional, didn't make the most of the available space and being made of wood, had started to fade and discolour due to the amount of sun streaming in to the room. 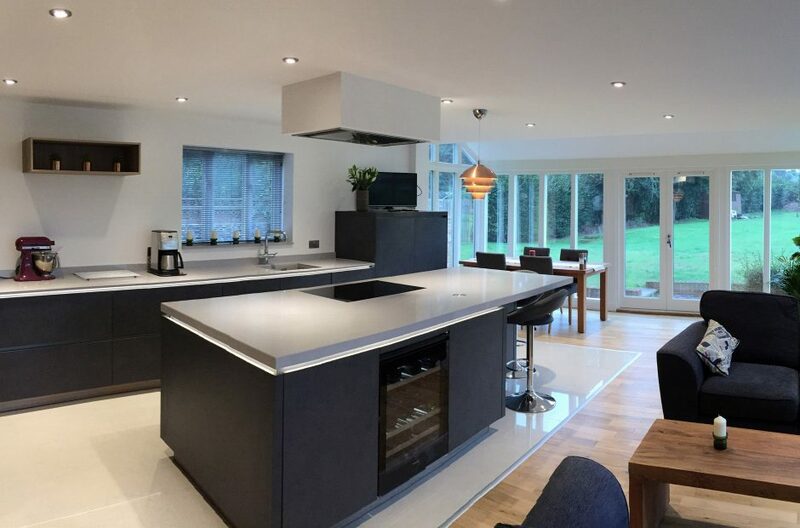 We knew we wanted to maximise the available space, remove the wooden flooring from the functional part of the kitchen and replace it with a more practical alternative and to have a much bigger island, with a large induction hob and breakfast bar to make cooking more sociable. I had also always hankered after a wine cooler, so that was included in our spec. 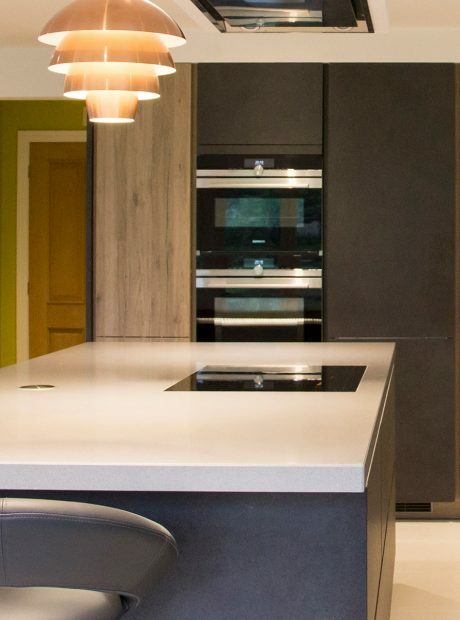 My biggest worry was whether we had made too bold a choice in selecting a dark grey colour for our kitchen and we knew that once we had placed the order there would be no going back! 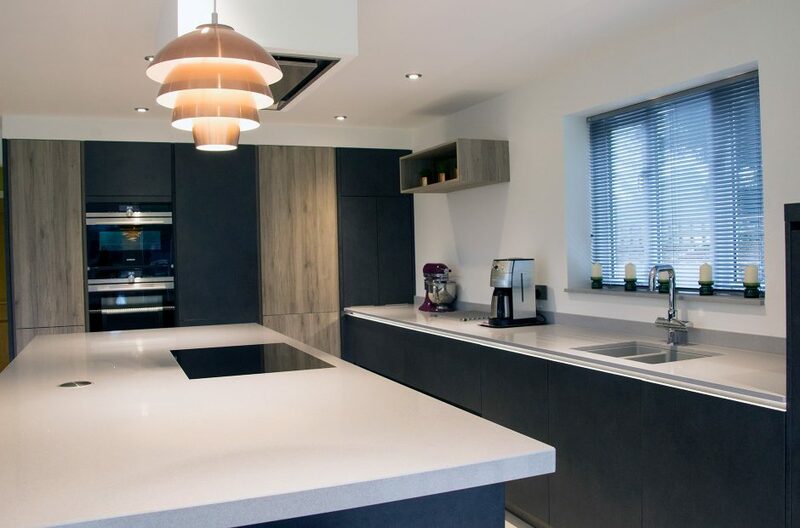 By choosing light flooring and work tops as a contrast, however, we became more confident in our choice. 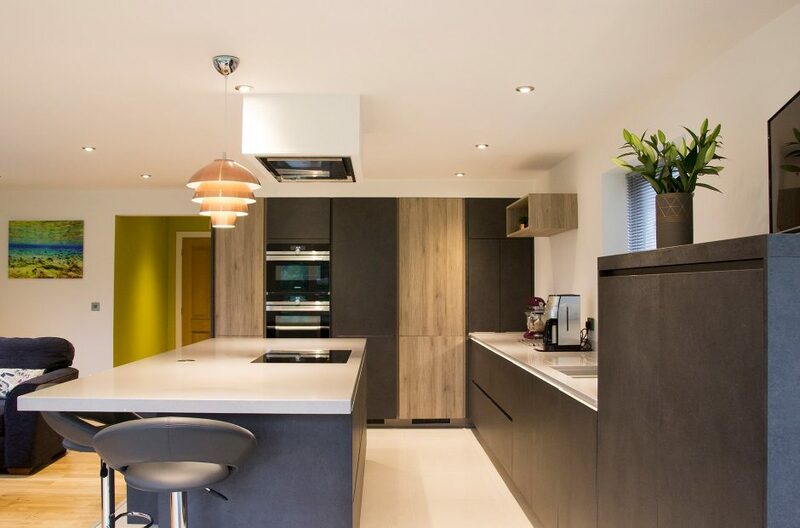 Our fears were totally unfounded once the kitchen was complete as we immediately appreciated that the room itself had so much light and space to play with that it could take bold colours in a way that smaller kitchens wouldn't be able to. 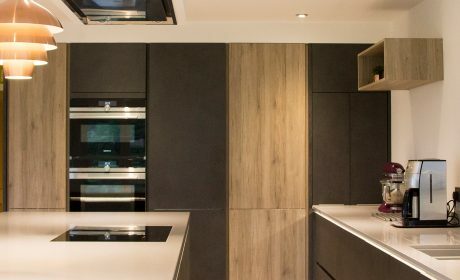 I had seen an Alno kitchen that I liked in a magazine and a department store but was still at that stage just scouting for ideas. 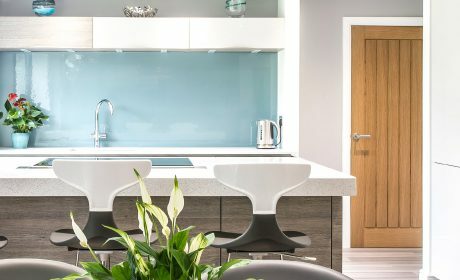 I read that Kitchenology were Alno suppliers so initially visited their website for ideas and followed it up with a visit to the showroom. 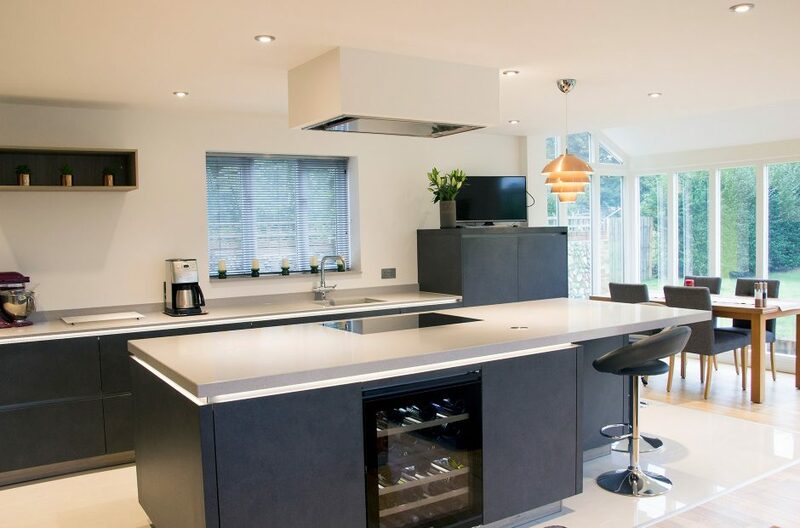 The design stage was enormous fun and gave us an opportunity to play around with different layouts and style of kitchen. The software managed to replicate the room quite well and made it easier to visualise our commitment before we placed the order. 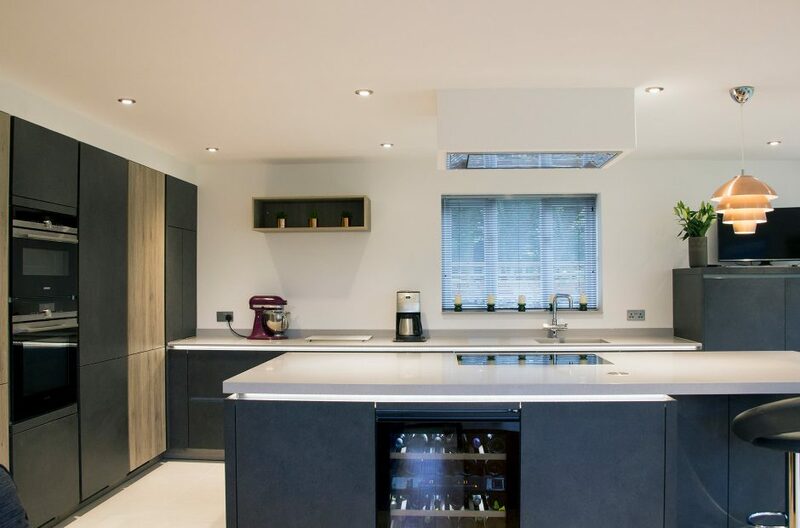 I also have to say that the installation went really smoothly and was well project managed, despite us having made some choices that were less than straightforward for the electrics and the like. Everybody working on the project, from the painters and decorators to the electricians were incredibly professional and meticulous in the way they worked, which meant that we had very little to worry about throughout. It helped that we still had access to our utility room and that Kitchenology provided us with a fridge and mini cooker that we were able to use in the meantime. How long did it roughly take? 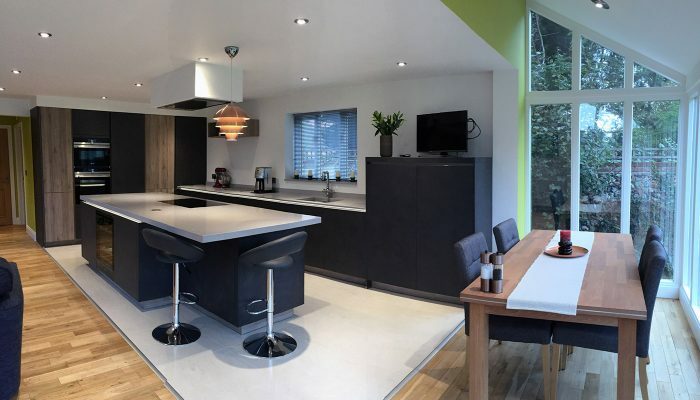 We are delighted with the result and feel that we have given our beautiful garden room the kitchen it deserves. We spend most of our time in this room and feel that it was totally worth the investment. Without hesitation. There was attention to detail and excellent customer care every step of the way.